Palmdale Trasit Village is the $29.7 Million Phase 1 of a master-planned Transit-Oriented Development (TOD) in Palmdale, CA. The 6-story, 280,000 Square foot project consists of 156 one-, two-, and three-bedroom units over two levels of on-grade and subterranean parking. The ground floor houses meeting rooms, community rooms, and staff offices. The Phase 1 work included all grading, paving, and installation of underground utilities (power, gas, domestic and fire water, and sanitary and storm sewer) for the entire master-planned 4-phase project, as well as construction of amenities such as the community swimming pool. The 51,296 square foot, six-story building with 96 units is located in Los Angeles, CA. Built over a two-level subterranean parking garage, the project provides housing and services to formerly homeless. The ground floor offers meeting rooms, counseling facilities, computer lab, library and community rooms. The 53,000 square foot, six-story, green building with 97 units is located in Los Angeles, CA. 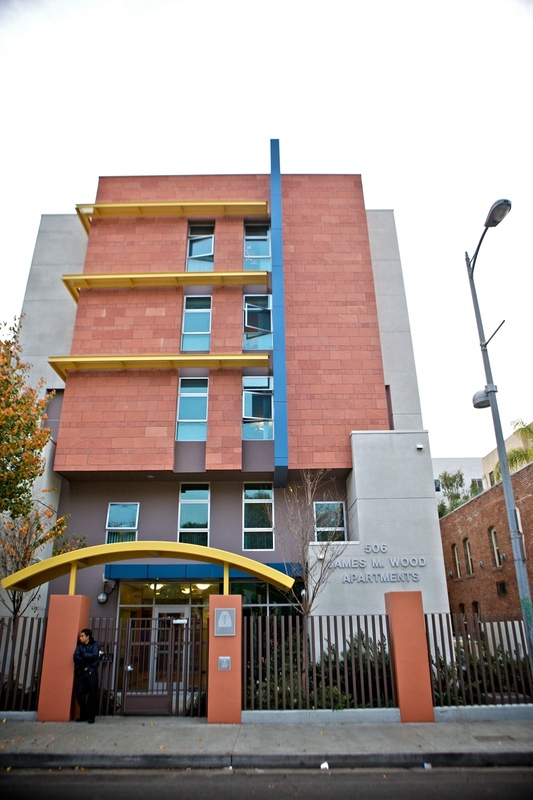 Built to provide housing and services to formerly homeless, the amenities include ground floor meeting rooms, counseling facilities, classrooms, staff offices, a communal kitchen, and a rooftop deck for recreation. 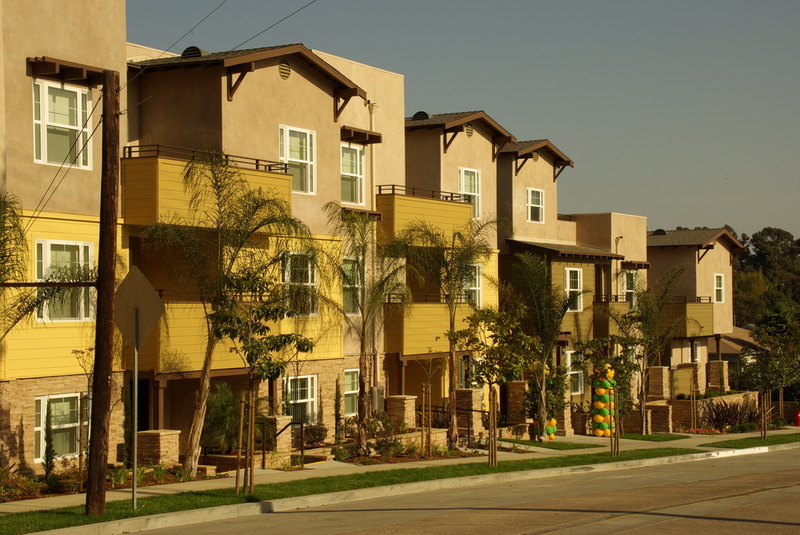 The project is comprised of two apartment buildings with 61 units, and is located in Los Angeles, CA. The three and 4-story structures, built over a two-level subterranean parking garage include an on-site daycare center, laundry rooms, recreation rooms and computer lab. Although the urban site presented special challenges in staging and access, due to efficient scheduling of labor and material, the project was completed three weeks ahead of schedule. 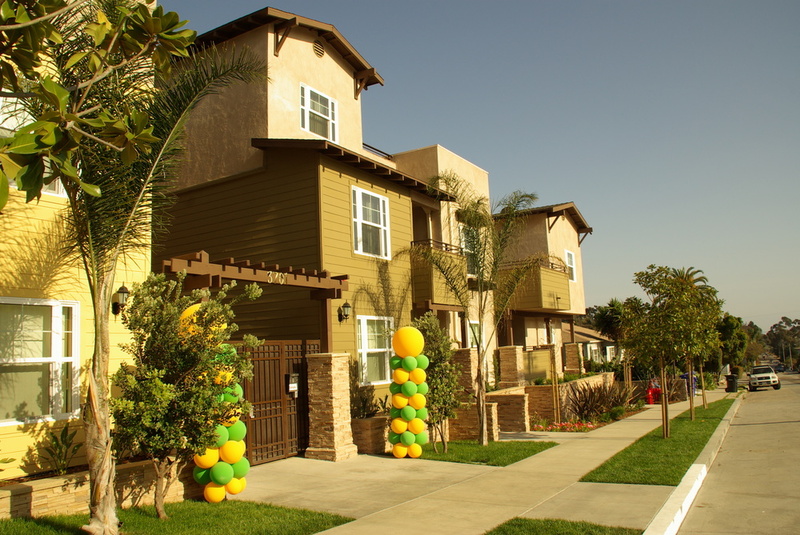 Arbor Terrace is a 71 unit multi-family affordable housing project meeting the requirements for the City of San Diego and the San Diego Housing Commission. 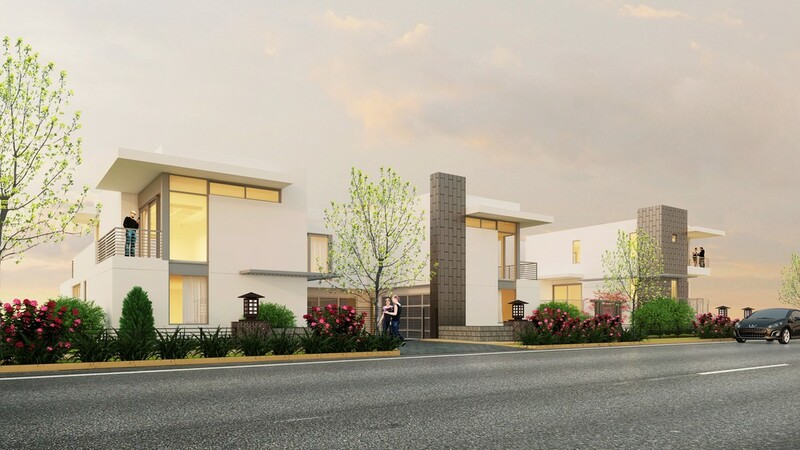 This project was developed in collaboration with the local community planning group, our client Squire ADI and the City of San Diego Planning Commission with the goal of providing needed affordable housing in the diverse North Park neighborhood. 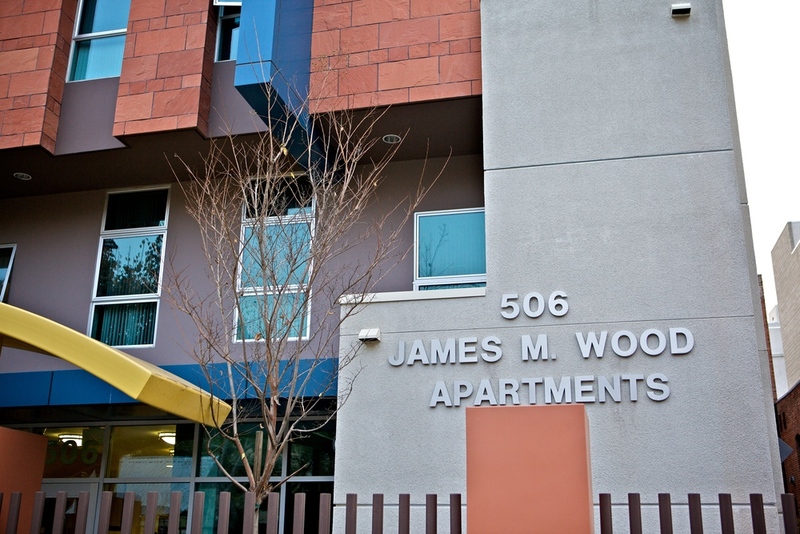 Financed through public tax credits and private funding, the project sets a standard for developing affordable housing. The architecture is defined by the context of the neighborhood craftsman style bungalows with wood and stucco siding, low sloped roofs and stone massing. The units are a mix of flats and two story townhomes with their front doors and entry porches facing the street. The goal was to create a sense of community and individual homes within a multi-family development. 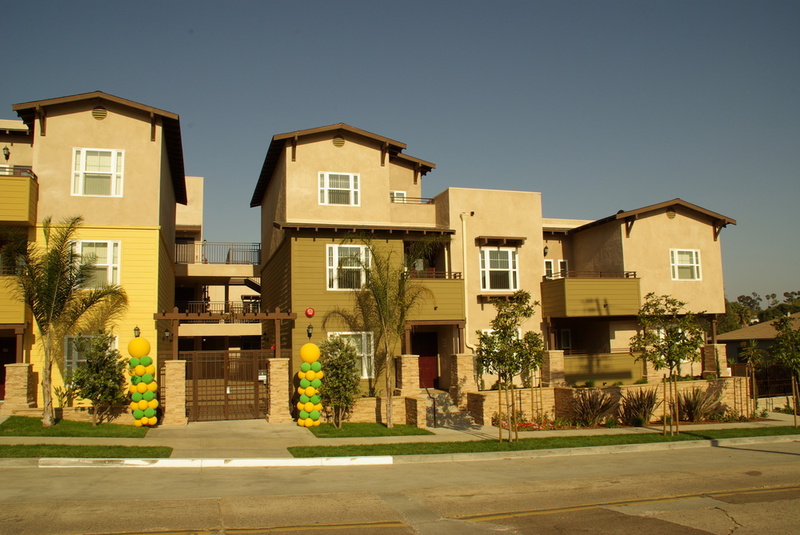 Golden Hill Row Homes is a 20 unit, multi-family residential project designed for families and urban professionals who desire a home in close proximity to downtown San Diego. Each unit has a two car garage with two or three levels of living space that include private terraces and a common landscaped motor court. The architecture is contemporary in style with elements reminiscent of local craftsman design. Stone bases and site walls blur the transition from landscape to structure and the blend of exterior plaster and wood siding grace the facades. The outdoor spaces are laced with trellises that include horizontal sun shade “eyebrows” to control the solar orientation. Golden Hill Row Homes will utilize sustainable building strategies to reduce the impact imposed on the site and the environment. Photo-voltaic roof panels will be utilized to harness solar energy and to offset the energy demands for the occupants. 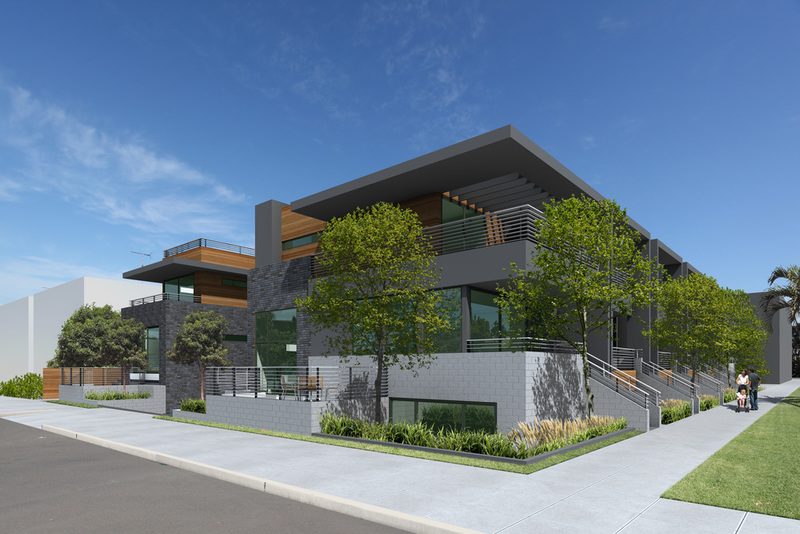 The five-story Second Avenue homes are located on an urban infill site consisting of two single­ level flats and two penthouse town homes ranging from 1,500 to 2,088 square feet. The modern architecture includes deep horizontal overhangs and finished with the elegant materials of plaster, metal and glass. The units are designed with an open floor plan that includes expansive ceiling heights of nine to eleven feet to capture the views towards the San Diego Bay and the downtown area . To further enhance the views, each unit will have a private deck and terrace to allow for indoor/outdoor living. The level two and level three flats are served by an elevator that opens directly into the unit. Secured Parking is provided in the on­ grade parking structure via auto lifts that allow for two cars per unit, plusan additional ADA space . Private secured storage is also provided for each unit within the garage . 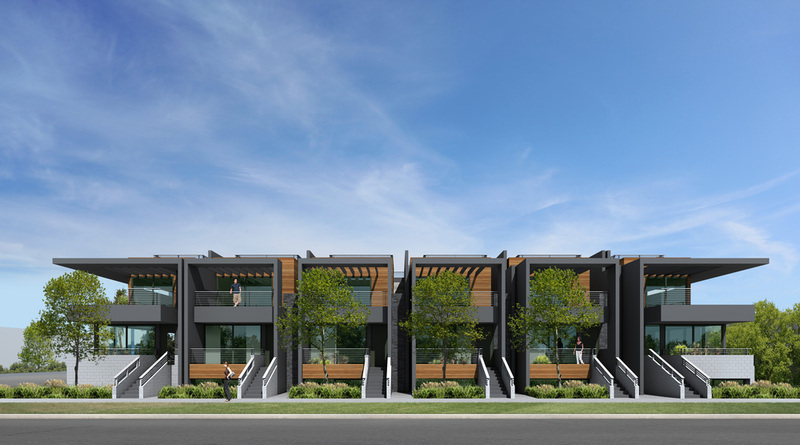 The five-story Third Avenue homes are located on an urban infill site consisting of four single-level flats and two penthouse townhomes ranging from 1,831 to 2,2568 square feet. The modern architecture includes deep horizontal overhangs and finished with the elegant materials of plaster, metal and glass. The units are designed with an open floor plan that includes expansive ceiling heights of nine to eleven feet to capture the views towards the San Diego Bay and the downtown area. To further enhance the views, each unit will have a private deck and terrace to allow for indoor/outdoor living. The level two and level three flats are served by a common elevator. Secured Parking is provided in the on-grade parking structure via auto lifts that allow for two cars per unit, plus an additional ADA space. Private secured storage is also provided for each unit within the garage.